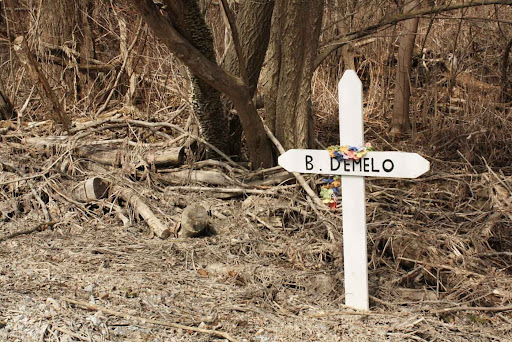 Roadside memorials usually mark a spot where someone has died in an automobile accident. I have no knowledge of who B Demelo may have been. Who ever put this maker here does and is letting others know that someone past on at this spot. these are poignant reminders. and it is nice to see a name.